Out of the hundreds of Chinatowns in all the world, our very own Binondo in Manila is the first and oldest of them all! It was created as the center of commerce and business during the American era and now still holds true to its roots as thousands of Filipino-Chinese owned businesses continue to thrive here. Looking for satisfying authentic Chinese food? 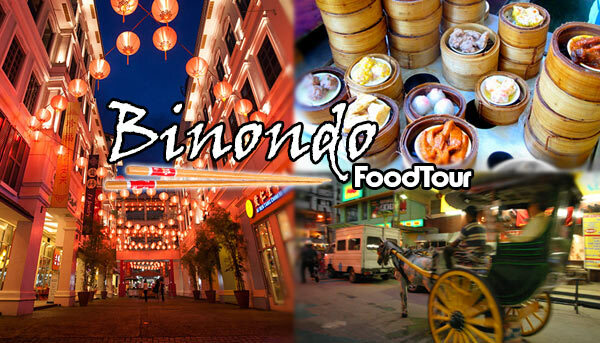 What better place to search than Binondo where food is their main attraction! Discover the delectable dishes they have to offer while you gain exciting knowledge of the history of this popular city. This tour is open for all ages. Gentle reminder for the senior guests, this is a walking tour Kindly be advised. 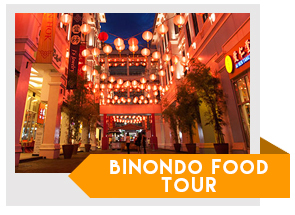 Binondo is located just right in the center of commerce in Manila and 30-40 mins from Makati. The tour always starts at 9 AM and lasts 3.5 hours. You may also request for a different start time but taking this tour during afternoon would really be humid and crowded. If you are partaking in an afternoon round of golf at Club Intramuros, you can do this all in one day as they are located just 10 minutes away from each other. Taste and see the savory eats in this Chinese district located in the heart of Manila!